mAh per display square in. 260mAh/sqrin. This octa-core smartphone mimics a lot of high-end phablets with its 6.3-inch 19:9 screen, despite settling for a 720p-only sharpness, and it comes with a 4000mAh battery capacity, which not a lot of its mid-end contemporaries offer. 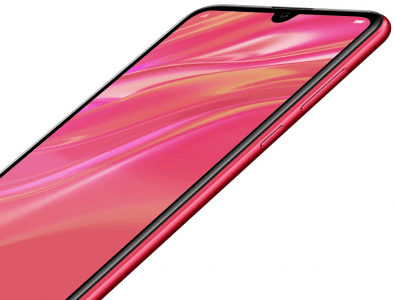 Also, it scraps the Y7 2019's unpromising 8-megapixel selfie camera for a more ambitious 16-megapixel shooter. On-paper Pros & Cons The Y7 Prime 2019 runs in low-key hardware cons, such as a 1.8GHz-only eight-core processor and a 3GB RAM, but it boasts pros like a 16-megapixel selfie camera and a 4000mAh battery pack. Click through for our thorough specs-driven analysis. 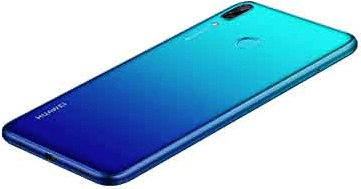 (more) Huawei phones 2019 View all the new and upcoming Huawei phones. * Spec accuracy is not guaranteed. Please do a confirmation of the key specs before making a final choice. Cell phone manufacturers sometimes omit certain functions, making it difficult for us to guess whether or not a specific cell phone has a specific function. If you see an error in this spec sheet, please let us know as soon as possible.